CCTV camera systems and video surveillance are imperative for all businesses, whether you operate an office complex of 100 employees or own a small local restaurant. A proper CCTV camera system is one of the best ways to keep an eye on your business and your employees. But why should you choose to have a CCTV Security Surveillance System? Aren’t they expensive and complicated to operate? Aren’t they only meant for supermarkets and banks? Video surveillance is one of the fastest growing and most popular segments in the security industry ... however, I recommend you be careful with what you buy, because not all CCTV Video Surveillance Systems are equal ... a 16 camera system from Costco, or Home Depot for $800 is not what a professional security company will sell you, and will make you vulnerable with a "false sense of security". 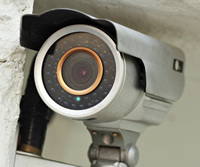 Here are some things you should know about CCTV Cameras and Video Surveillance Systems, which should hopefully clear your doubts and convince you to install one for your business premises today. The sight of CCTV cameras alone in you facility is often enough to discourage some customers, or staff, from shop lifting making them think twice before stealing something, but it is not a deterrent. Professional thieves will know how to quickly get around and exploit the weaknesses your CCTV camera system. CCTV video surveillance systems are not expensive, nor complicated to operate and maintain. Operationally, wouldn't it be great if you could record your staff's activities when you are not there. Wouldn't be beneficial if you could dial in remotely at any time to see how things are going on site? Wouldn't it be valuable to have a record of your products received and shipped … i.e. a record of damaged, or short shipped products being received, or a real record of product being fully shipped out of your facility not damaged? Many of the best CCTV surveillance system companies will have consultants and technicians on hand to help you plan your optimum installation and help you to use the video surveillance system properly. When you evaluate the operational up-side of CCTV camera systems they really aren’t as expensive as many think them to be. With high quality, HD high resolution CCTV cameras now available they add a lot of additional security and there are many other security technologies that can be integrated into your CCTV Camera Systems. Breaking into a warehouse complex or business under CCTV video surveillance and going unnoticed is simple because the activity on a regular CCTV video system is just being recorded. The real investigative value of a conventional CCTV video is zero and insulting after the fact; As you won't know who are these thieves are, and all you do is get watch them steal your stuff with impunity. A conventional CCTV Video System adds nothing to your security. We recommend you add SonaVision to your CCTV system and now you have a fully integrated Security System and video monitoring designed to catch the criminals while the crime is in progress. With SonaVision Police are being dispatched as soon as the thieves enter you compound or facility, and they are watched in real time by our monitoring station and we guide the Police to the criminals. Setting up a CCTV system that uses integrated SonaVision and audio verified technology is practically impenetrable, with multiple cameras keeping an eye on each others’ blind spots in addition to keeping an eye on the most vulnerable areas on your property and business, with audio listening devices. If there is a break-in of any kind ... we will know about it. Again, the best security alarm companies send consultants (not sales people) to your premises for site inspections on customers’ property, or office space to advise them on the best possible verified CCTV surveillance setup. The most important reason why a CCTV surveillance system is needed for businesses is simply because many businesses, big or small, have vulnerable areas like high security storage spaces where sensitive data is stored and you need to know if staff steal or manipulate it, valuable inventory and cash registers that should be watched for voids/refunds/short sales/theft of cash. CCTV surveillance camera system let you watch over these areas so they are protected at all times while also providing you with direct video evidence should something go wrong. At Sonitrol we only work with the best technologies, consultants and technicians to make sure you are completely covered and safe with your CCTV surveillance system . We integrate video cameras technology from some of the industry's leading manufacturers. And we package these components into solutions for your specific location and industry application. Our Sonitrol Verified Security Solution allows Sonitrol's operators to see what's happening anytime an activation signal is received. And you can use CCTV surveillance to remotely manage operations at your facility. Working in concert with Verified Audio Detection, Access Control, and any other modular components of your Sonitrol system, intrusion CCTV surveillance offers greater security for your property. 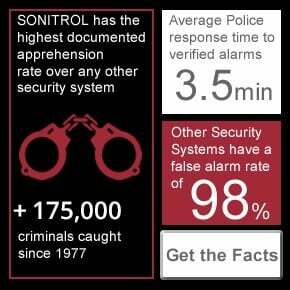 At Sonitrol we are complete security technology integrators and security consultants so we know what you require. A Verified Business CCTV Video Surveillance solution can be a powerful deterrent to both external and internal theft. 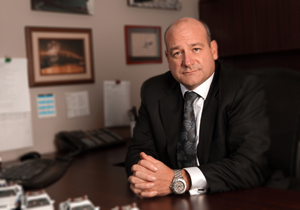 It can also provide evidence and help protect you from false slip-and-fall claims and similar threats. Sonitrol provides state-of-the-art SonaVision CCTV verified video surveillance solutions that are as advanced as our intrusion alarm technology. We use the latest digital video CCTV camera surveillance technology for continuous, automated recording and clear images that never degrade. What's more, our cameras, digital video recorders and ancillary equipment can integrate seamlessly with Sonitrol verified audio detection and any other modular components of your Sonitrol system for even greater security.